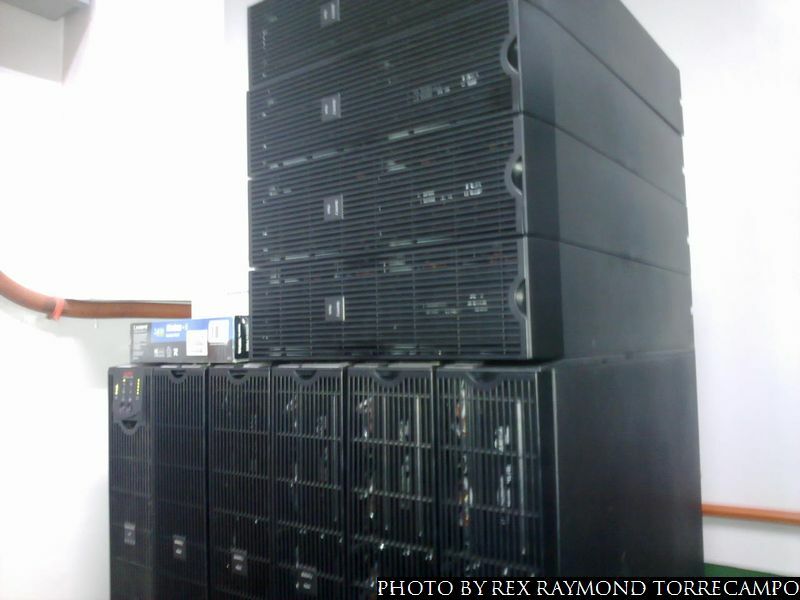 Home / Government / PhilGov / Technology / Elections 2013: Hardware Upgrade Needed! Elections 2013: Hardware Upgrade Needed! If you were one of those who woke up this morning – the 14th of May and, therefore, the day after the elections – and anxiously tried to log onto the COMELEC web site to see how your favourite Senatorial, Party List and LGU candidates fared in the national and local elections, chances are that your browser yielded a time out error message. You probably refreshed your browser, luckily got a page or two; but each time the page either failed to load completely or took an eternity to do so. Or timed out again. This was morning, mind; and, therefore, that time of the day when Internet traffic wasn’t so congested. The timeout, needless to say, could not have been caused by your own Internet service. You were probably not the only one experiencing the same thing; and at least, the web site was up. Yesterday, on national television – no less – Chairman Sixto Brillantes admitted to the news crew of ABS-CBN that, indeed, the COMELEC web site was down. For the record, the PPCRV web site fared no better than COMELEC’s this morning; and probably for the same reason. That said, PPCRV is a volunteer organisation with limited funding. For its web site to not be able to handle web traffic is something that people will be prepared to overlook. What that mystifying time out message on your browser was telling you was that your browser sent out a request for a page at the COMELEC web site; but the latter failed to send back the page that you were asking for in the time allotted by your browser for receiving responses from servers. You can change your browser’s timeout settings; but that probably would not have improved the situation. The simple fact of the matter is that COMELEC probably does not have the hardware to handle the sheer volume of requests coming from citizens all eager to know who won what and where. The web site was up; but had to queue so many requests that many inevitably timed out. It’s no different from calling your credit card’s call center but not being able to get through to an operator because too many people are calling at the same time and the call center does not have enough agents to handle the volume of calls. And, of course, you end up angry, frustrated and disenchanted with the service. Especially so if you badly need to know something from your credit card company. To be fair, the problem is not unique to COMELEC. The same happens to the PAGASA web site – and, to a certain extent, even Project NOAH – everytime there is an approaching major howler. Ditto the PHILVOCS web site immediately after a major tremor or volcanic eruption. You can also add the PRC web site on the day board exam results are released. Brillantes’ nonchalant admission yesterday that the COMELEC web site was down is probably symptomatic of the fact that those in government have not learned to fully appreciate that web sites are an organisations’s face over the Internet; and that a web site’s performance will probably be a fair reflection of the same sort of service that a customer can expect in a face-to-face transaction with the same organisation. The problem is twofold. First, there is the technical angle. These are multiple servers essentially functioning as one web site. For example, a site such as Facebook – which boasts of over a billion users – has far too many users to be handled by one server. Despite the volume of requests at any given time, I have only experienced one down time with Facebook since I registered in late 2007. This leads us to the second face of the problem – the financial side. That Facebook is hardly ever down is due to not only to the company’s investment in hardware but also the bright minds it has working for it. The obvious question is, therefore, will government be willing to invest in, at least, the required hardware not only for the COMELEC web site but also for other government sites that the public goes to for information and other services. In the case of the COMELEC – ditto PAGASA, PHILVOCS and the PRC – a hindrance to investment may be that the fact that traffic to its site is seasonal. 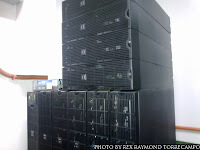 On the other hand, if the same government agency could have cost taxpayers an alleged PHP 1.8 billion for those pesky PCOS machines which are used just as seasonally – not to mention the storage, maintenance and other costs entailed by the purchase – then what is a few millions for additional servers to augment the existing site? I’m not sure the same holds true for the COMELEC. Unless people have simply become so used to the mediocrity that is frequently associated with government service. In all honesty, that really should not be the case.